"Bug see's two versions made available"
Description The sequel to the original PAC-MAN and award-winning power pellet chomping game, PAC-MAN Championship Edition DX returns with even more content! Chomp through bright neon mazes at blistering speeds to unlock brand new achievements and medals for an increased challenge! With a refined user-interface, it's easier than ever to compare high scores with your friends! 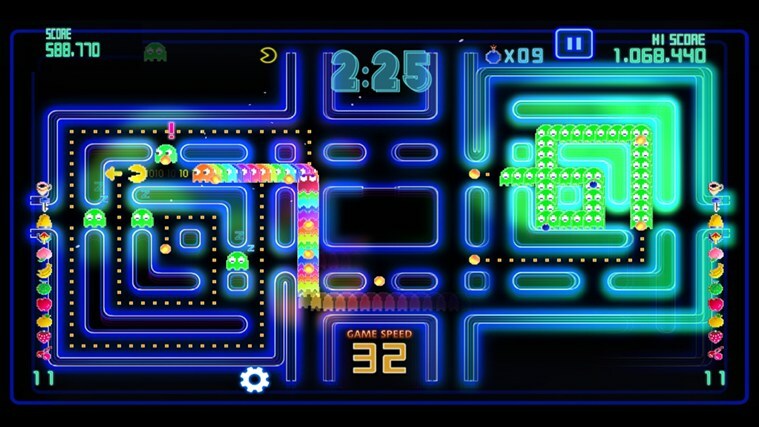 Get ready for more ghost chain gobbling and frantic action in PAC-MAN CE-DX+! Features - Pac-Man Championship Edition DX is an official follow-up to the original Pac-Man game that took the world by storm back in the eighties! - The universally acclaimed game is now available from Windows Store! For assistance in changing your Region in Windows 8 - follow this link - xboxresource.com/forum/viewtop... #FF0000">Xbox Resource will not be held responsible for any repercussions you might receive from doing this - you do so entirely at your own risk!